Anyone that knows us is probably aware of our obsession with nail polish. We are constantly changing the color on our nails, which is one way to justify our unusually large nail polish collection. With the holidays officially under way, we are excited about this season's new polishes and couldn't resist posting on Deborah Lippmann. Here are 4 of our top picks for the holidays! 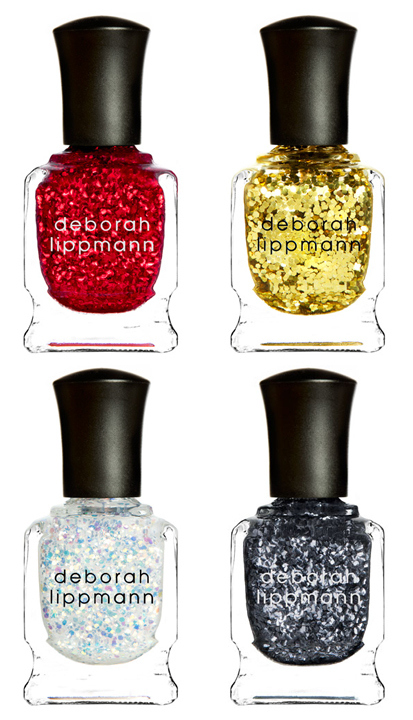 Deborah Lippmann is available at Neiman Marcus, Nordstrom, Barneys New York and Holt Renfrew.